These days, clean-shaven is no longer the only way to look well-groomed. Stubble may still have a rugged feel but instead of scruffy and sloppy, it’s now considered sophisticated and stylish. When done right, stubble can enhance your features, define your jawline, and create a mature and masculine appearance. On top of that, it can also make you appear more handsome and banish that terrible “baby-face” look. While stubble can be a great excuse to skip shaving every day and save you time during your morning routine, it does take work. 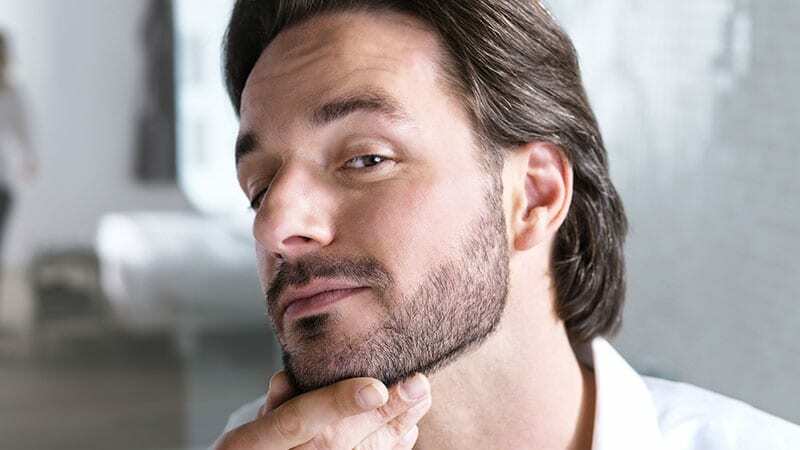 Without the proper care and maintenance, your polished facial hair can quickly end up looking unkempt. So, if you want to be able to wear your stubble to the office with pride, it’s best to know how to achieve the perfect look. 3 Will Stubble Suit Me? Stubble is that somewhat ambiguous length of facial hair between clean-shaven and a short beard. Depending on how quickly your hair grows, stubble can be anything between a few days and a couple weeks of growth. Although stubble is similar to a short beard, its lesser length means that the hairs don’t come away from the skin as much. This means that you can create a distinguished and manly look with stubble without moving into the wilder territories of a beard. Stubble, when done right, looks like the perfect facial hair growth. 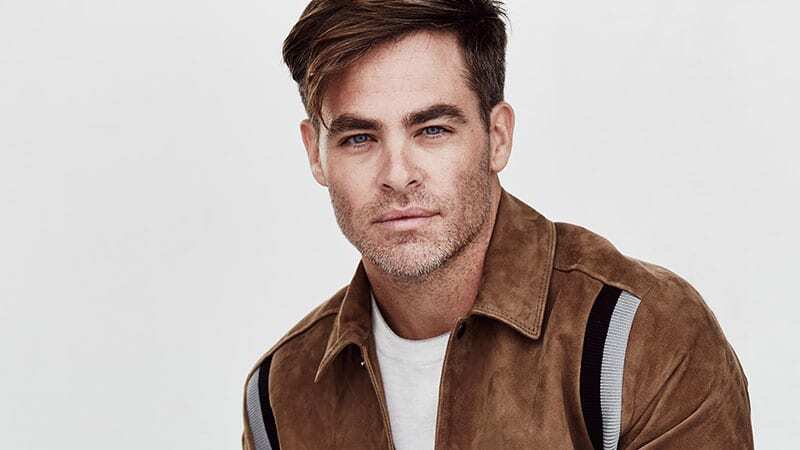 While the first day or two may simply appear like you forgot to shave, after the third day or so, it’ll begin to look deliberate and ruggedly stylish. Its short length also allows for a clean and more polished look than a beard. While beards can be styled and appear well-groomed, properly maintained stubble will always appear neater. Perfect for gents whose office won’t allow a full beard, stubble is a great alternative. It offers the same masculine appeal without the extra untamed aesthetics. Unfortunately, facial hair doesn’t suit every gent, so be aware before growing stubble that it may not turn out as planned. You’ll never know until you try, however, so don’t be afraid to give it a go. Just think, the worst that will happen is that you’ll have to shave it off. If you’re not prepared to maintain your stubble, don’t bother growing it because it’ll simply end up looking messy. If you often have bad reactions to regular shaving stubble could be your ideal option. When growing stubble, be mindful of the overall appearance. If it’s coming in patchy and simply looks a bit bare, a clean-shaved look may be a better option. Also, once your initial stubble is grown, listen to comments from friends and colleagues. Chances are, if you’re getting a lot of compliments, you should keep the stubble. If people are still asking if you forgot to shave after a week or two, however, stubble may not be suitable for you. Every gent’s facial hair grows at a different rate and thickness, so ultimately your genetics will determine how thick your stubble will grow. That being said, things can diminish or increase your capabilities of growing heavy stubble. Stress, bad diet, and physical damage will all slow down and affect growth negatively. Having a good and healthy lifestyle, on the other hand, will always help you achieve the best growth possible, but there are a few more things you can do to help your stubble along. Taking supplements, such as biotin, zinc, vitamin B, and magnesium can help your hair to grow faster and healthier. Likewise, a boost in testosterone will also help you grow heavier stubble. As well as working out to boost testosterone you can also eat more red meat, spinach, nuts, avocados, olives, broccoli, and olive oil. Stubble may be designed to look effortless but don’t be fooled. You’ll need to put a little time into caring for your stubble to achieve the right look. To maintain the ideal look, you’ll need to groom, trim, and shape it regularly. You still want a natural and rugged appearance, however, so don’t overdo it in the grooming department. Create a routine for trimming depending on how quickly your stubble grows. Generally, grooming every 2-4 days will keep your stubble looking suitably stylish. The idea is to maintain a length that’s neither too short nor too long. 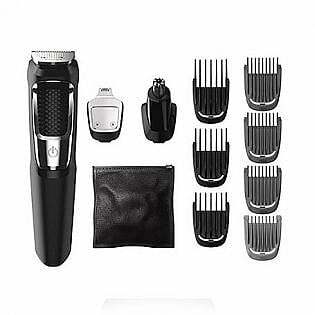 You want to lightly trim and shape your stubble for a natural yet tidy appearance. Before trimming, exfoliate your skin by washing your face with a washcloth and quality face wash or facial scrub. Then, apply shaving oil and leave for 30 seconds to soften your facial hair for trimming. When using the trimmer, be sure to have a light hand to maintain an organic appearance and avoid creating obvious straight edges or sharp lines. 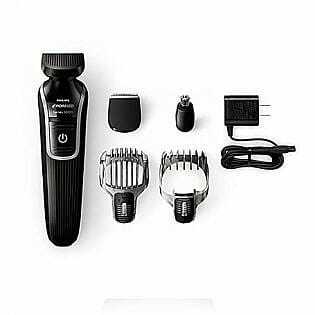 Trim whiskers to a uniform length before setting the trimmer slightly shorter to blend the edges. The aim is to create a natural-looking fade from stubble to bare skin. Clean shave the areas outside your stubble, such as cheeks and your lower neck. Doing so will create a cleaner look and eradicate stray hairs. Afterwards, apply some aftershave to calm the skin and soothe irritation. Unlike a beard, stubble doesn’t need much styling. Not only does its short length mean lower maintenance, but it also means that a natural appearance is best. While you’ll, of course, want to keep your stubble trimmed and clean up stray hairs around your cheeks and below the Adam’s apple, it’s best to otherwise leave your shape as it organically grows. When it comes to cleaning and grooming, stubble doesn’t need to be shampooed. Simply cleaning your face regularly with facial cleanser will do the trick. Also, regularly softening skin and stubble with some moisturiser and beard oil will make your stubble look conditioned and polished while helping to keep itchiness and dry skin at bay. Try to avoid moisturisers containing alcohol, however, as these can actually dry out your skin. Also, keep an eye out for specific stubble and scruff softeners to create soft and touchable facial hair. Before growing stubble, you need to be armed with an electric trimmer with guard attachments. A quality trimmer will make it easier to maintain the perfect stubble length and keep hairs even, so you appear sharp not scruffy. 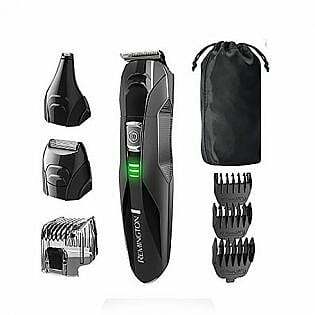 Not only will these top trimmers help you keep your facial hair in check and stop it from turning into a beard, but they’ll also allow you full control to ensure it doesn’t end up too short either. 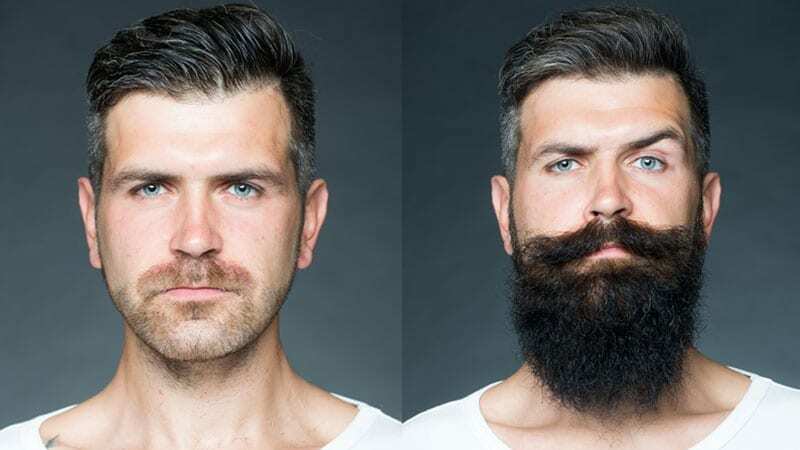 To find your perfect stubble length, start by growing a short beard and then slowly shorten the length of your facial hair until you reach your desired look. 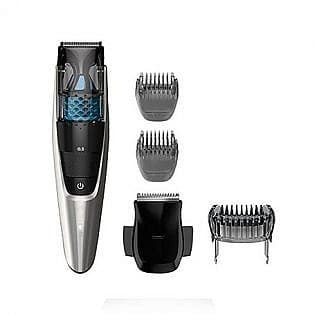 Use a good quality electric trimmer with adjustable lengths to easily ensure your stubble is the perfect length. Regularly trim your stubble to maintain it. 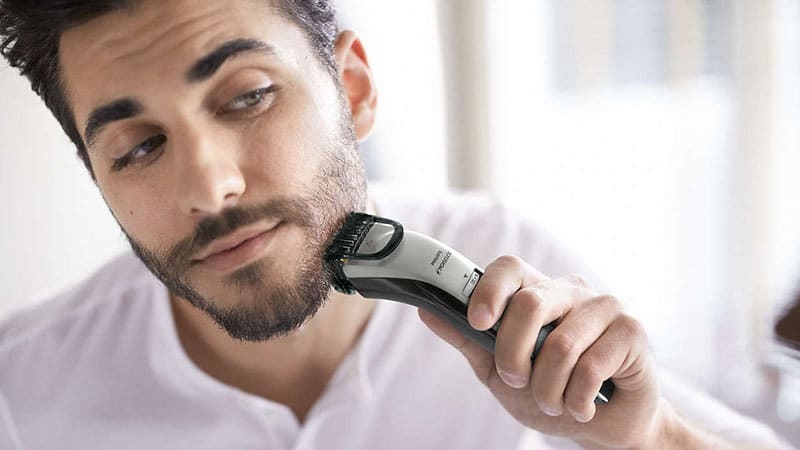 Be sure to use a shorter length on your trimmer when trimming the edges of your stubble to create a natural fade to bare skin. Use facial cleanser daily and beard oil/stubble softener regularly for soft and itch-free facial hair.